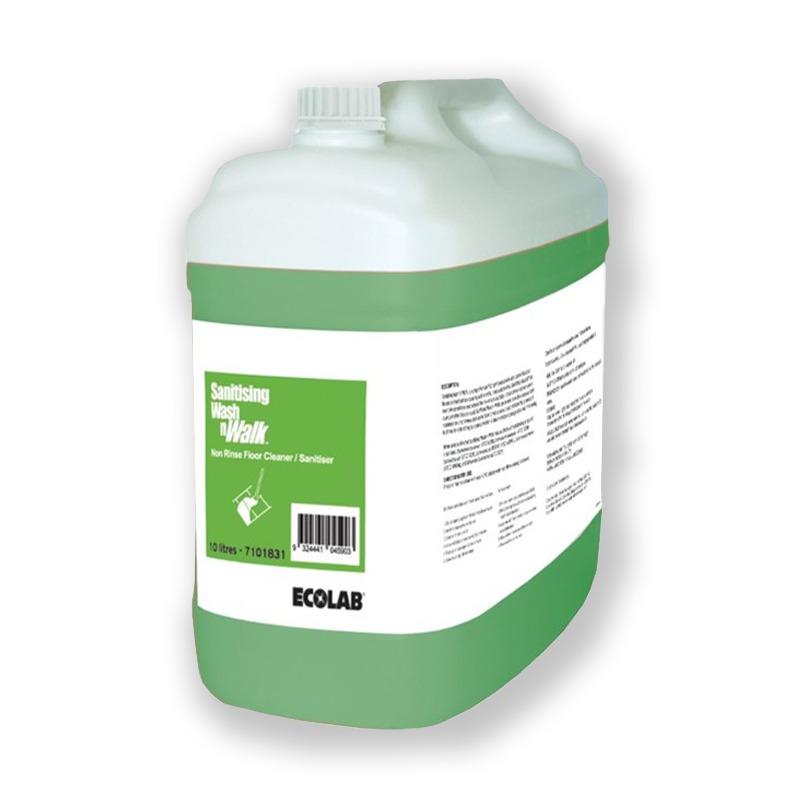 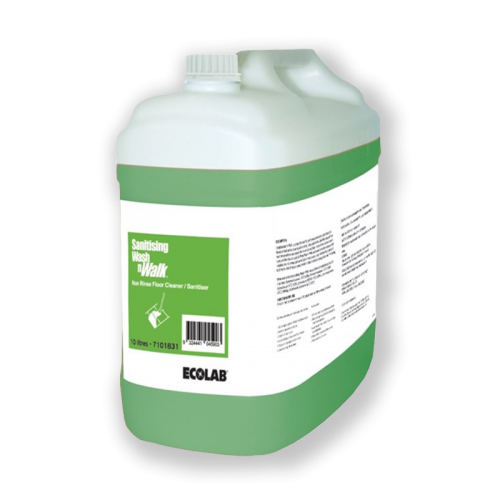 A neutral pH makes it safe to use on a variety of surfaces. 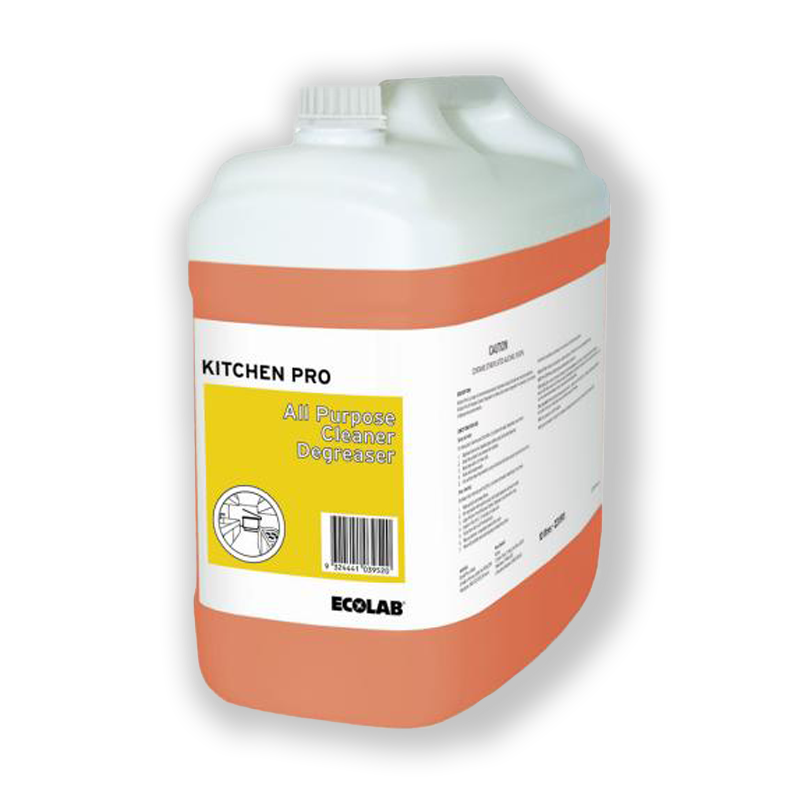 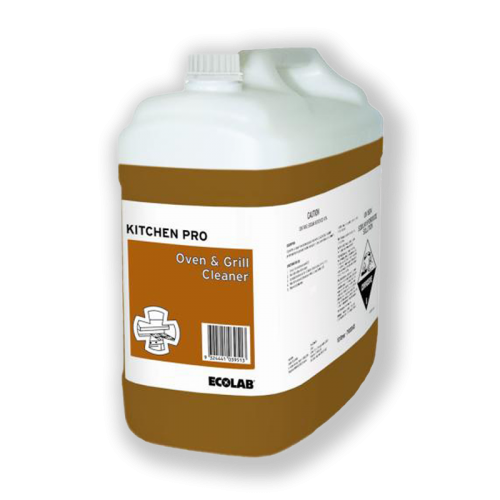 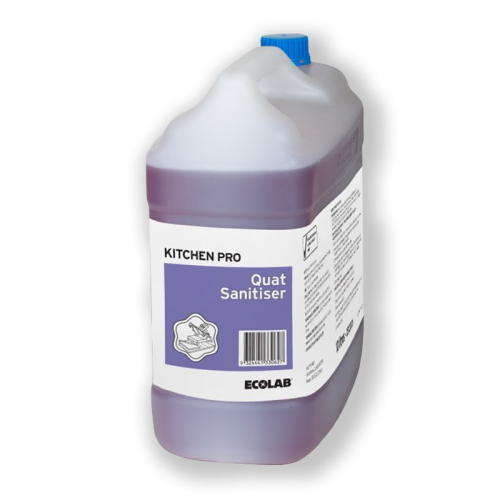 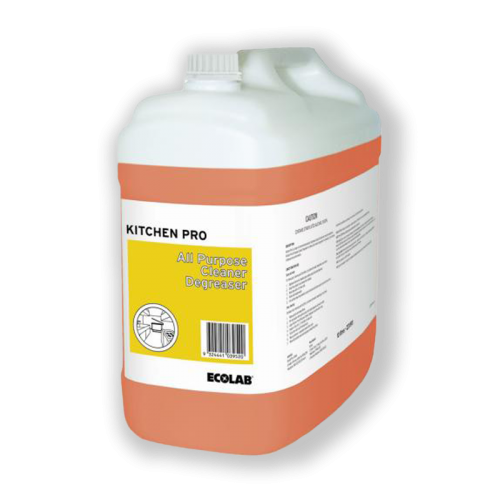 Kitchen Pro All Purpose Cleaner dries quickly to leave surfaces streak-free and sparkling clean. 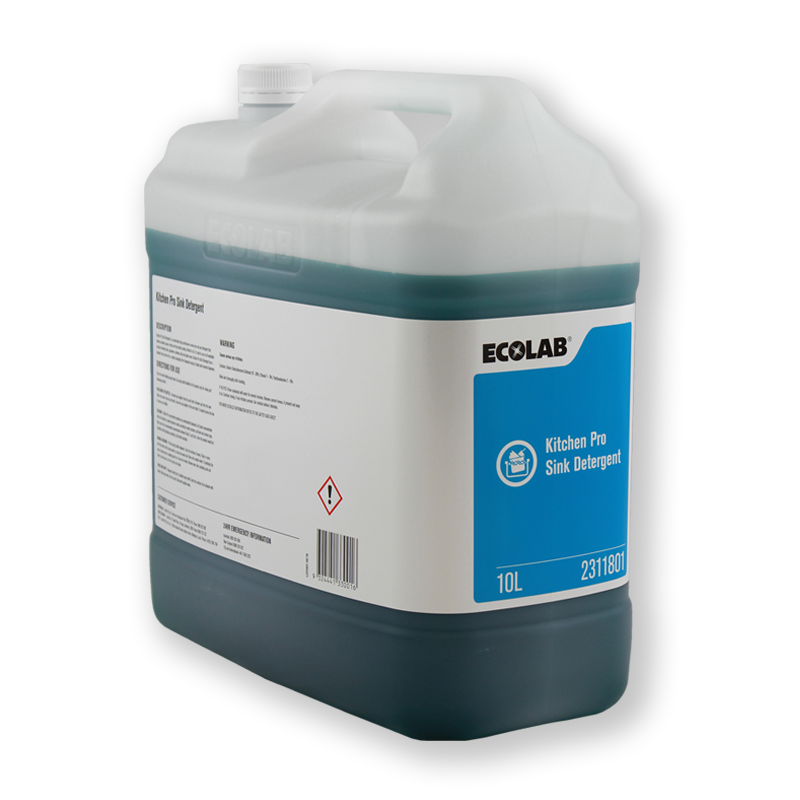 to minimise cost and maximise performance. 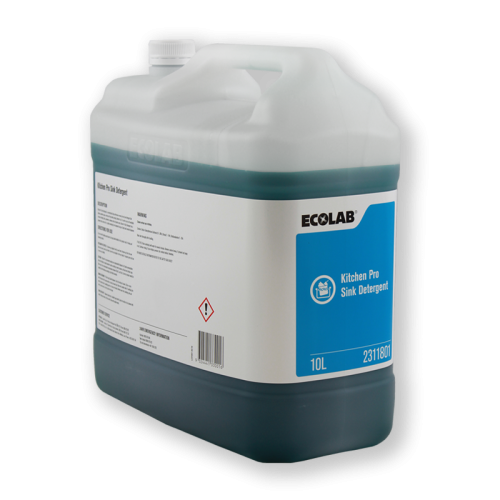 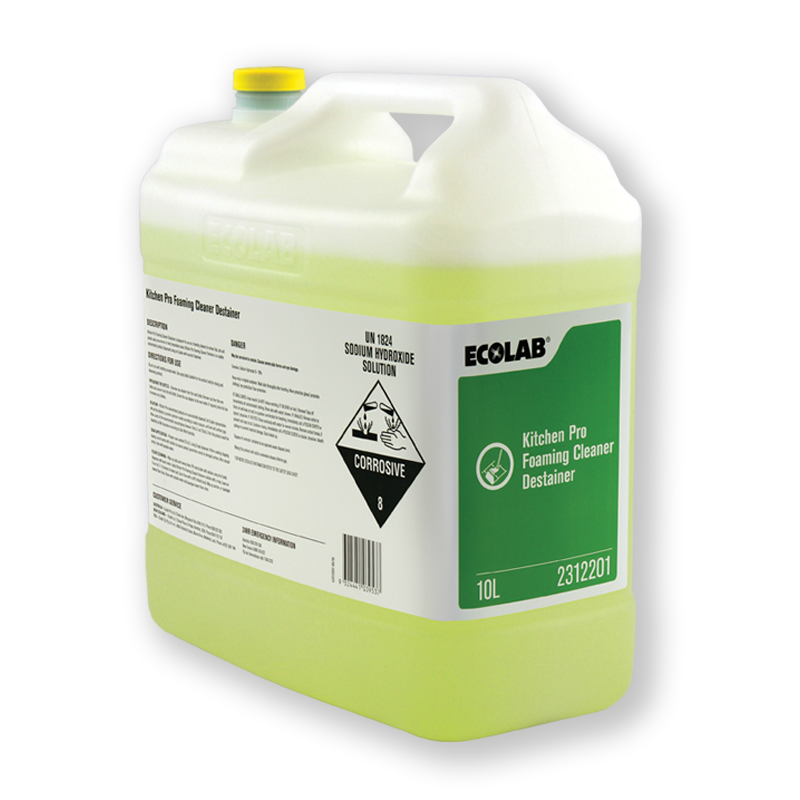 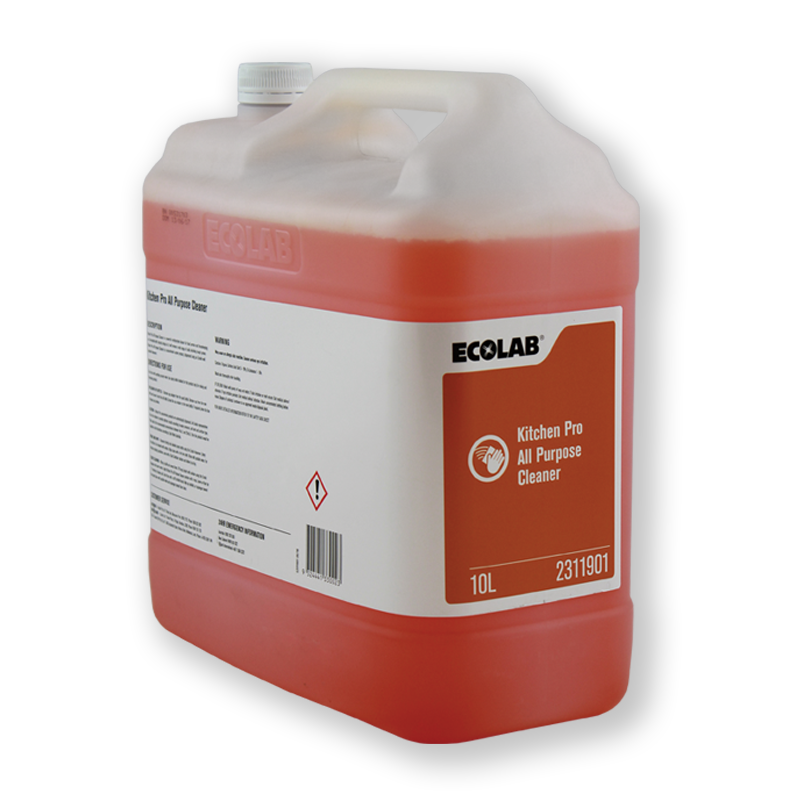 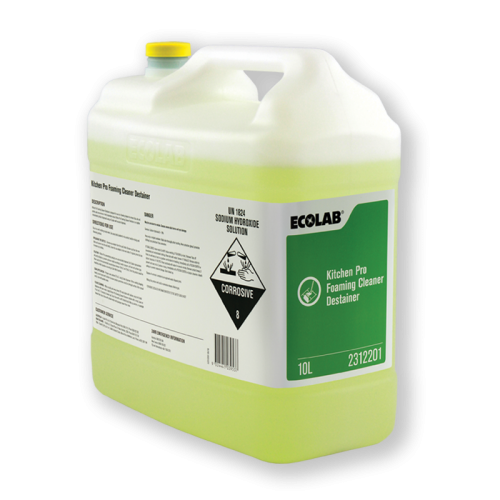 This range is dispensed through the Penguin Pro dispenser where products are automatically dispensed with a dilution set by an Ecolab representative according to your water pressure, soil level and surface type. 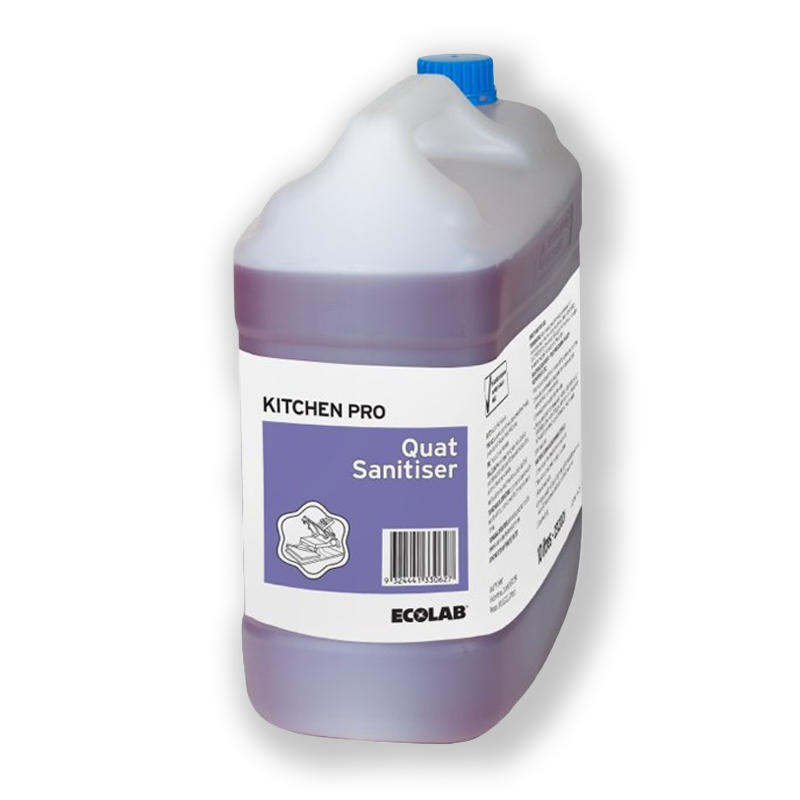 Using a dispenser enhances staff safety. 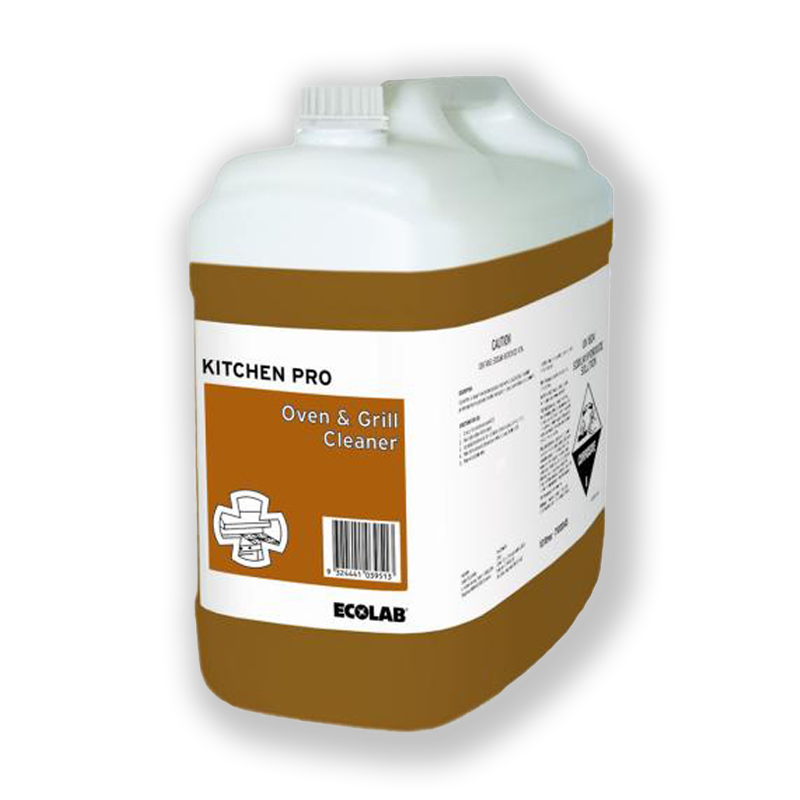 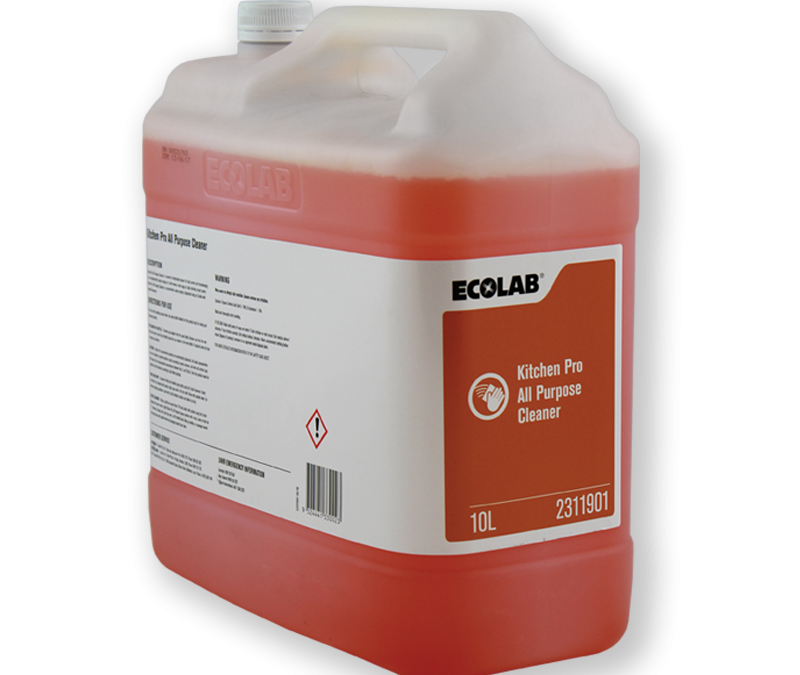 Use on: walls, floors, counter tops, equipment, glass surfaces and plastics.